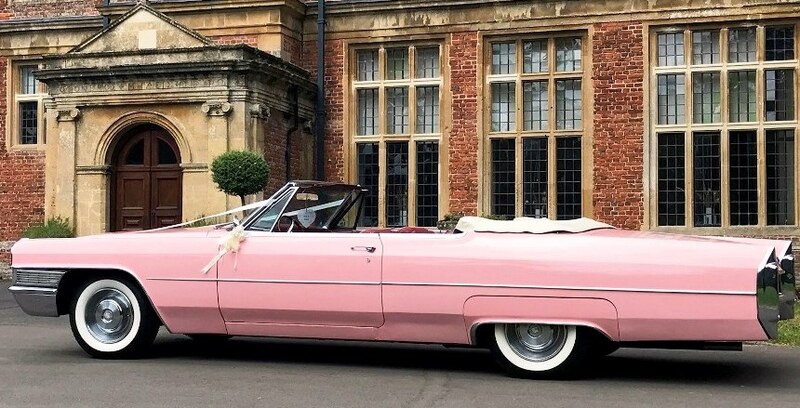 This American wedding car is a 7.3 litres, V8 convertible Pink Cadillac and is a fantastically flamboyant way of travelling to and from your wedding venue. 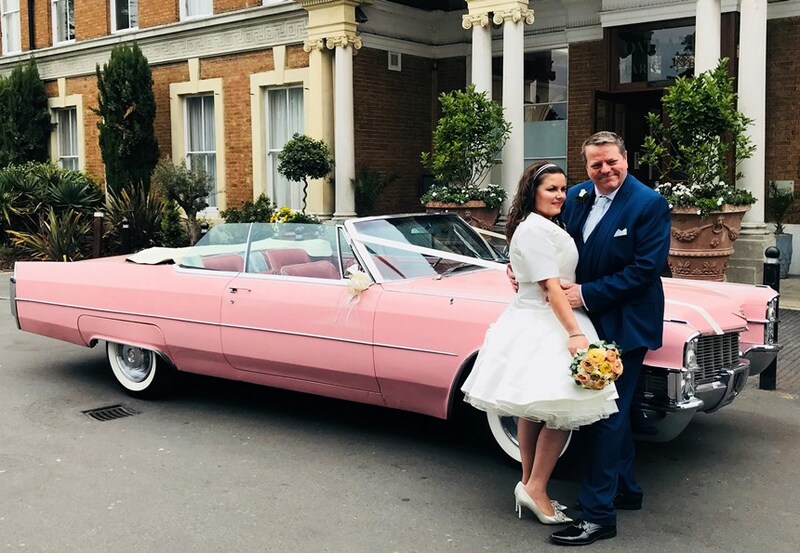 The beautiful Red leather interior, coupled with the wide whitewall tyres, White roof and shiny chrome make this classic American car an all-round stunner and one Elvis would have been proud of! 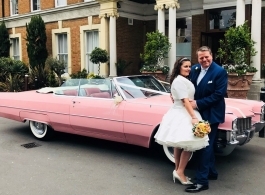 It is in fact the very same model as the Pink Cadillac on display at Las Vegas’ iconic Little White Chapel and a popular choice of car for celebrities. With the sumptuous bench seating and up-to-date music system you can play your favourite tunes and enjoy a showstopping ride. 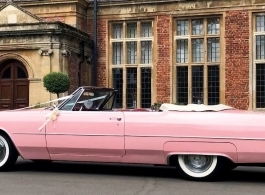 This car can seat up to 5 passengers so is also a great choice for Bridesmaids as well as Bride & Groom.